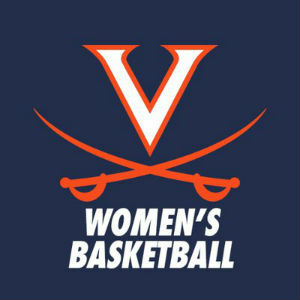 The UVA women’s basketball team (8-13, 2-6 ACC) dropped a 72-68 game at No. 18 Syracuse (17-4, 6-2 ACC) on Thursday at the Carrier Dome in Syracuse, N.Y. Junior guard Jocelyn Willoughby (East Orange, N.J.) had a double-double with 25 points and 12 rebounds. Sophomore guard Brianna Tinsley (Madison, Va.) scored 19 points. Both totals matched their career highs. Tiana Mangakahia had a double-double with 16 points and 14 assists. Virginia shot 37.9 percent (22-of-58) while the Orange shot 42.2 percent (27-of-64). Virginia held a 39-37 advantage in rebounding. The game had six ties and four lead changes in the first 15 minutes, but Syracuse closed out the first half on a 10-2 run to take a 35-30 lead into the break. The Cavaliers pulled to within two, 40-38, on a layup from senior forward Mone Jones (Durham, N.C.) with 7:11 remaining in the third quarter, but the Orange built back up an eight-point lead, 52-44, four minutes later. The Cavaliers again chipped away at the deficit, pulling to within one on a pair of Willoughby free throws, but Mangakahia hit a three to put the Orange up 55-51 heading into the fourth quarter. The Cavaliers tied the game, 68-68, on a second-chance bucket by Willoughby with 1:28 remaining. Syracuse retook the lead, 70-68, after drawing a foul on a putback attempt and making the subsequent free throws. After the Cavaliers missed a three on their next possession, the Orange made two free throws on the opposite end to take a 72-68 lead. The Cavaliers took two three-point attempts in the final eight seconds, but missed both.